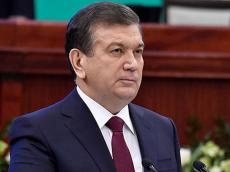 Uzbek President Shavkat Mirziyoyev signed three laws on the ratification of international documents, Uzbek media reported. The Paris Agreement was adopted on December 12, 2015 following the 21st United Nations Framework Convention on Climate Change (UNFCCC) in Paris. The climate change agreement developed in Paris for the first time in the history united the efforts of all world powers to contain climate change. The “Law on Ratification of the Statute for the Standards and Metrology Institute for Islamic Countries (Istanbul, November 7, 1999 with amendments dated May 7, 2017)” was also signed.